VOCAL’s G.165 Echo Canceller software is fully compliant with ITU G.165 and optimized for execution on ANSI C and leading DSP architectures. Our echo cancellers have been rigorously tested, meeting ITU compliance tests as well as our own. 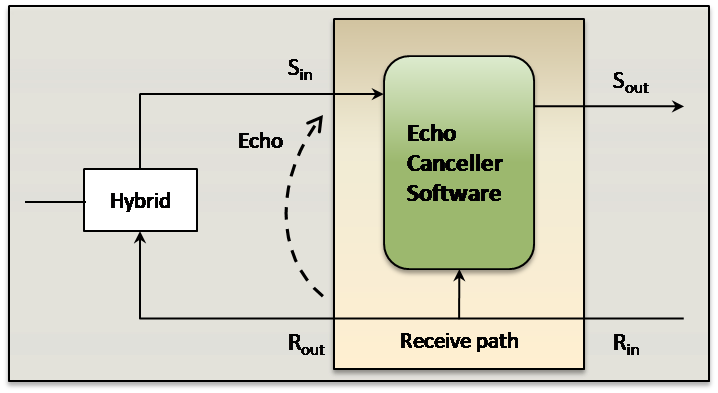 G.165 Echo Cancellation algorithm is available standalone, as part of an embedded library, or with a VoIP stack for integration with developer applications. Custom solutions are also available to meet application specific requirements. Our voice software is optimized for DSPs and conventional processors from TI, ADI, ARM, AMD, Intel and other leading vendors. Our experts can provide a custom, optimized line echo cancellation solution to meet most types of processing and acoustic environment requirements. Please contact us for more information or to arrange a demonstration. The ITU G.165 Recommendation was initially developed to standardize line echo canceller performance and ensure network interoperability. Unfortunately, the focus on band-limited noise measurement and testing often resulted in unsatisfactory speech performance. As a result, it was superseded by the ITU G.168 Recommendation and subsequent addenda. In actual practice it is more beneficial to use a stripped subset of the G.168 implementation to satisfy most echo cancellation requirements rather than a G.165 Line Echo Canceller. VOCAL has developed a variety of echo cancellation modules and solutions, including acoustic echo cancellers (AEC), line echo cancellers (LEC), and digital network echo cancellers (DNEC). Our line echo cancellers are used in millions of installations world-wide, including the public telephone system, a variety of VoIP products, as well many other types of manufactured items. VOCAL’s G.165 Echo Canceller software is available for the following processor and DSP platforms. Please contact us for other supported platforms. Please contact us for other supported Operating Systems.